Meltdown 2011 | For decades the Shadow Powers have been planning a worldwide economic, military and societal meltdown of epic proportions. 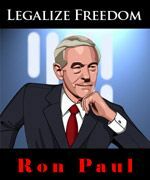 The plan is in effect NOW and it culminates in 2011. Please excuse and indulge a personal (rather than “newsworthy”) post. I’ve read your kind comments wondering what’s happened to this site, and me. As you’ve no doubt seen, I haven’t posted anything since June. Why? Honestly, the middle of June brought new information to my attention regarding what was (is) likely in store for us later this coming fall. What I read then, corroborated from multiple sources I’ve grown to trust over the last 3 years or so, was viscerally disturbing…the kind of stuff that knots your gut with dread. On top of this, close friends of my wife were visiting from out-of-town, and a nice dinner out was arranged. As is typical for me, I brought some silver bars to give the couple and offered up a cautionary tale of what may transpire in the next six months. My information was not received well and, at one point, the gentleman, in jest, threatened to kill me and my family and grab the rest of my silver. Although delivered with a laugh, his proclamation felt like an intimate violation. And I couldn’t handle it. Like the proverbial “switch being flipped” I had just had enough. I attempted to summarize what I felt was heading our way in a post here in June. Couldn’t bring myself to put it down coherently. Tried again mid-July. No go. Tried again Aug 8…nope. Each time as I put my thoughts to the task my emotions got the better of me, and the sense of impending dread paralyzed me. Fortunately, I have a doctor friend in Texas who’s one of the nation’s top NET practitioners; I eventually flew down for help. I got it. I feel transformed in a way I couldn’t have envisioned before. However, I realize now it’s not life-affirming for me to immerse myself in the machinations of the Shadow Powers and what’s heading our way en route to a complete meltdown by 2011. 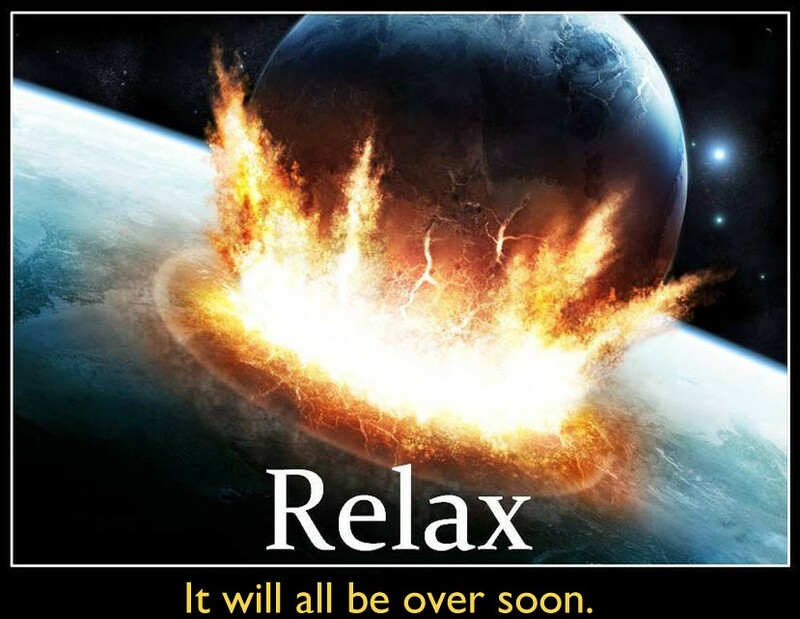 I think major events are close enough now that it’s time for me to “batten down the hatches” and ride out the storm. Do I think The Meltdown will still happen? Yes, I just don’t see how it can be avoided. Will there be suffering? Yes. Many live will be touched. Will we, as a nation and as people, be better off once we go though this? Yes, absolutely. And that, my friends who’ve followed my rants, is what keeps me going. I do believe in Yogananda’s quote, “Americans will be half as wealthy but twice as spiritual.” We may (or may not) have a hell to go through during the next 18 months, but we will return to the values that this country was founded upon. And, we will all have the opportunity to love courageously. Please make a personal effort NOW to protect yourself, your family, your loved ones. Please be prepared, to the best of your ability and within your means, to offer 1) help, 2) solace, and 3) guidance to your neighbors and friends in the coming tumultuous months. If you have any questions/comments please post them in the comments area below. I promise to monitor this thread for the next few days. 5) US banks are, on whole, insolvent. The FDIC is looking at $200 billion in insured deposit liability with troubled banks yet has only $11 billion available to cover it. [link] You will not get your lost money back anytime soon, the FDIC will decide WHO will get a partial disbursement based on THEIR criteria. 6) Swine flu will indeed kill some this year, but the vaccine, (laced with antifreeze, aluminum, formaldehyde, squalene) will kill many more. I will stand with Dr. Bill Deagle [link to mp3], Dr. Sherri Tenpenny [link to youTube], Dr. Mercola [link] and many other informed insiders and refuse the vaccine. More effective: Dr Mercola recommends vitamin D and fish oil. 7) The Web Bots [link to “Shape of Things to Come” report, $10] are showing collapse of COMEX gold/silver in November, resulting in wild swings in silver prices. Some swings could hit $600/oz. 8) Please remember that when hyperinflation hits you should quickly convert your cash into tangible goods with intrinsic value. Think barter. Think silver. Obviously, it’s better to get your money out of a failing bank 1 month too soon rather than 1 day too late. 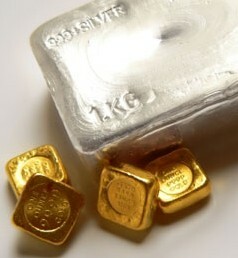 Ted Butler’s friend and mentor Izzy takes the soapbox on “The 3 Stages of the Coming Silver Shortage”. Editor’s note: Izzy’s article was originally published a few years back, when silver was at $9+/oz and before the recent run-up in silver to $16. True then, moreso today. Consider this: we have already experienced Izzy’s STAGE ONE scenario (last year), get ready for STAGE TWO. 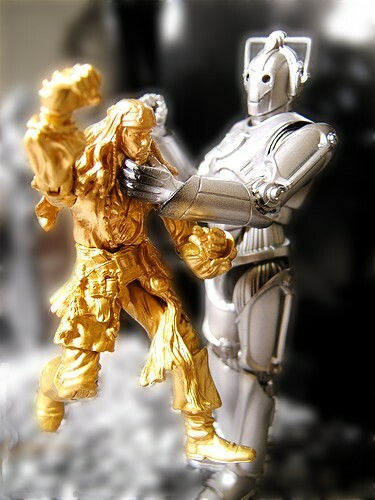 I hope that the sell-off in the metals made you think about the way you perceive gold and silver as investments. This wasn’t just a correction, this was a slaughter by the paper short sharks who call themselves commercials. Mr. Butler wrote to the authorities in detail and asked why these so-called commercials can break the law. But up to now, he has not received any answers. I am in the camp that believes you can’t change the paper market to be honest. But that doesn’t mean you can’t do anything about it, because you can. To those people who speculate in the paper market, I say you’d be better off giving your money to charity than give it to the paper sharks. This sell-off brings two conclusions. One, that gold and silver don’t have monetary value, because money value doesn’t change so much in value in such a short period of time. Gold and silver aren’t insurance for anything, not for inflation, not for a collapsing dollar and they are simply controlled metals. Two, the naked short sellers aren’t afraid of anybody. The users are also controlled by the commercials and aren’t buying at dumping prices. They will regret not buying at the low prices, as they need silver to live. So, the conclusion is that paper trading is dictating the prices, and if you think for one moment that they will not take your money when you trade paper, forget it. Should You Buy Precious Metals? Not to lose your investment money and participate in the future bull market in silver is the most important thing, and you have to choose the right course to achieve that. What kind of decision do you have to make to buy metals? You have to ask yourself some questions. One, will any of the metals be in short supply? Two, if I invest money can I make a minimum of 5 times my investment? Three, can I hold for the long term? Lastly, do I have extra cash to buy with? If you can answer yes on all four questions, in my opinion you can buy. After you answer yes, the question then becomes should you buy gold or silver? I am a silver sympathizer, and in my opinion, only in silver can you have a shortage situation. Only a shortage in physicals can bring high prices and defeat the paper market and force the naked short sellers into bankruptcy. 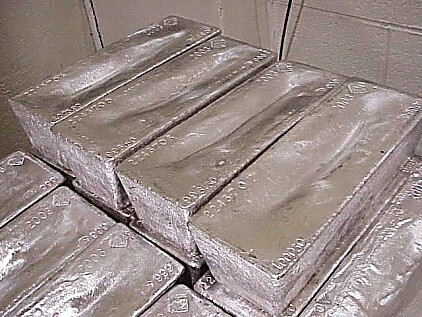 To define what I mean by shortage in silver, I say categorically that I’m not interested in the level of world inventories of silver, COMEX inventories and the guru’s stories. I am only interested to know if the users are receiving their shipments of silver on time. When a delay of silver shipments occurs, and affects most the users, I will consider this as a shortage. Let’s see the stages of a shortage. You should be asking, how did I calculate the prices for the different stages? My calculation is very conservative. I only take into consideration the future deficits between the producers and users, which is running currently at around 50 million ounces annually. I also take into consideration that private investors have 400 million ounces in bullion and coins that they will sell in some stages. -In stage one, pre-shortage, I think investors will be willing to sell 50 million ounces at a price between $20 to $30. -Stage two, shortage, investors will sell 200 million ounces between $30 and $100. -And the remaining 150 million ounces will be sold in stage three, super shortage and the prices will be truly shocking. These prices are very conservative, in my opinion, because they don’t take into consideration the naked shorts, new investments, or those banks worldwide that sold silver certificates without real silver backing, only derivatives backing. The users will be the key for the future price of silver. No user wants to stop production, and will pay any price for silver if that means staying in business. For you the investor, who wants to know when stage one will start, my answer is simple – not me or anyone will know in advance when it will start. No one will ring a bell. In my opinion, all of these stages will happen in silver, and super stage three will take years to develop. I ask you, do you believe that, when stage three comes, you will benefit if you hold a paper-leveraged contract? The Exchange will change the rules; including changing margins, and maybe by canceling the delivery process, and you will be left with a paper only contract. The conclusion is, if you believe in a shortage situation, you will be secure only if you buy physical. The only question is what to buy? Because I believe that at some point we will arrive at stage three, super shortage, when prices will be over the old all-time highs and will fluctuate by dollars per day, no investor will have the money to buy 100 or 1000 ounce bars. For the small to medium investor, I say buy U.S. Silver Eagles. And for rich investors buy Eagles and bars. I like Eagles because I think, at some point, the Mint will stop minting them and they will develop a numismatic and scarcity premium. Plus, in my opinion, they are the most beautiful coins in the world, and when I hold one they make me feel good about America. If my vision comes true, and we arrive at the super shortage stage, the Congress will ask a lot people hard questions, and the questions will be how we came to this situation. And Mr. Butler’s past complaints will be checked. Physical investment is the safest way to riches, in my opinion. When the naked shorts go to bankruptcy courts, including the big sharks, you will dance to the bank. Remember, do your homework before you invest. Cover all the angles, but don’t speculate, only invest in physical silver with free cash money. And take in consideration you can buy silver 30% cheaper than a month ago. And this is a fantastic, fantastic, fantastic opportunity. Good luck and remember the modern gold is silver.